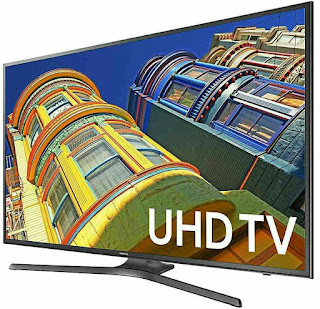 • 4K Ultra HD Smart TV - 65 Inches Flat LED Television. • Premium Quality High Definition Pictures with Amazing Resolution. • Super Thin Colorful Backlight Screen for Great! Viewing Experience. • Perfect for video gaming activities, sports and fast-moving entertainment contents..
• Comes with built-in powerful WiFi. Swift internet connectivity with up to date apps..
• Equipped with responsive smart functionality features. Compatible with comcast X1 DVR remote..
• Supports rich HDR+. 120CMR(Effective) Refresh Rate, Three HDMI inputs, Two USB Ports..
• Can be used as HD PC computer monitor and Easy to mount on walls..
• Comes with durable and adjustable sturdy stand..
• Overall Size/Dimension (WxHxD) with TV stand: ~ 57.6 x 35.7 x 14.5 inches..
• Weight: ~ 56.9 pounds..
Other 65-Inch Models: UN65NU7300, UN65MU6300, QN65Q7F, UN65MU8000, UN65MU8500, UN65MU9000, UN65KU6290, QN65Q6, UN65MU6290, UN65MU6500, UN65MU7000, QN65Q8C, UN65NU7100, QN65Q9F, UN65MU7500, UN65NU8000, UN65LS003AFXZA, QN65Q8F, UN65KS8000FXZA, QN65Q7C, UN65NU8500, UN65MU7600FXZA, UN65KU6500, UN65JU6500, UN65KU7000FXZA, UN65KS8500FXZA, UN65KS9800, UN65JU6700FXZA, UN65HU8550, UN65KS9000FXZA..